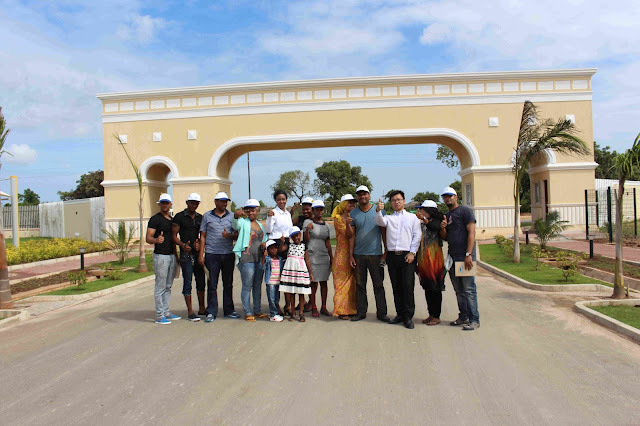 AVIC TOWN hits the highest point as the largest high-end villa community of Dar and Tanzania at large. 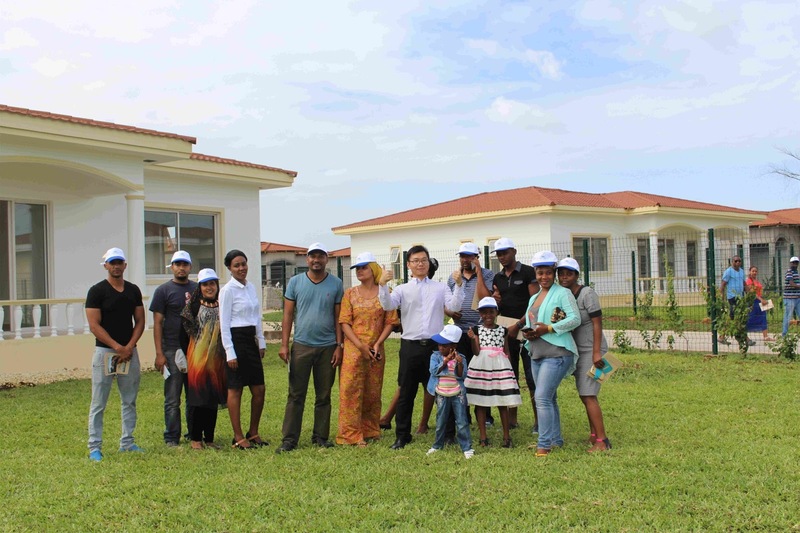 AVIC TOWN is built by AVIC International Holding Corporation (AVIC INTERNATIONAL), one of the top 500 companies in the world, with an investment of up to $ 800 million in building low- density and high-end residential infrastructures. 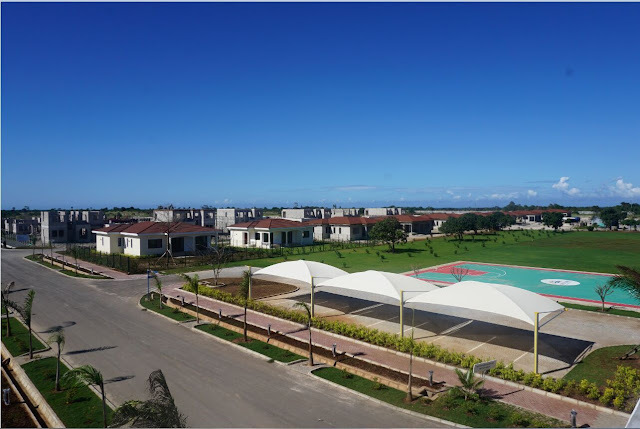 There is also a comprehensive modern community (including high- end villa products, business centre, high quality management, perfect entertainment facilities) being built at the project of Kigamboni as new second city to Dar es Salaam according to the government plan. The launch of the project marks the theme of Kigamboni as the second city centre officially formed. After nearly six months of high intensity of construction, the first phase of infrastructure is completed. The main gate, Landscape Avenue and sample houses have been shown to public. The project is expected as the major historic moment during the opening in the second week of June which will be another major step of AVIC International in Tanzania and a significant and glorious chapter in the history of urban construction for Tanzania. 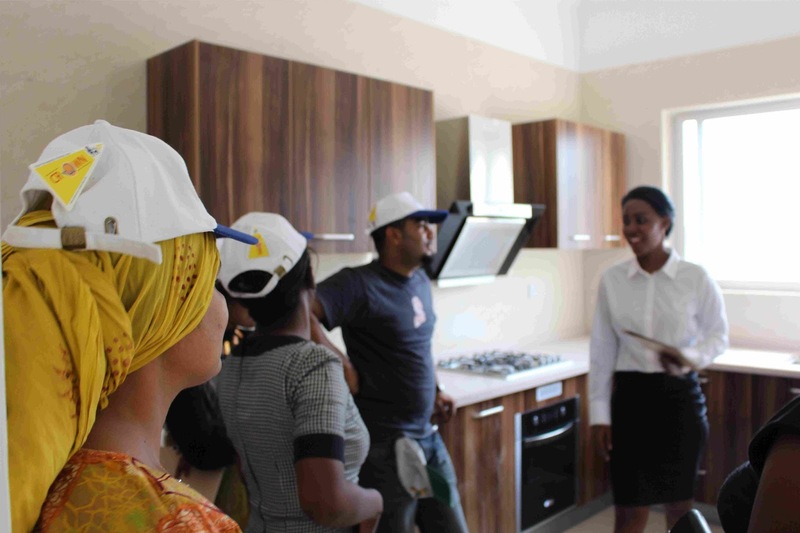 According to AVIC International, there will be a major unveiling ceremony on the opening day and Tanzania will embrace a unique feast for real estate. Let us look forward to it! Now AVIC TOWN has entered a new construction stage of the project in order to let our customers have more reflective understanding of the overall planning and high quality of the house so as to show the public AVIC’s building concept. We have built some perfect sample houses which show perfect quality and special sample life. Currently, we have built the sample houses type B, C and D, from high quality materials of the building, function layout and space utilization, etc, to do a comprehensive public exhibition. We want our customer to experience the city’s quality life in the future. 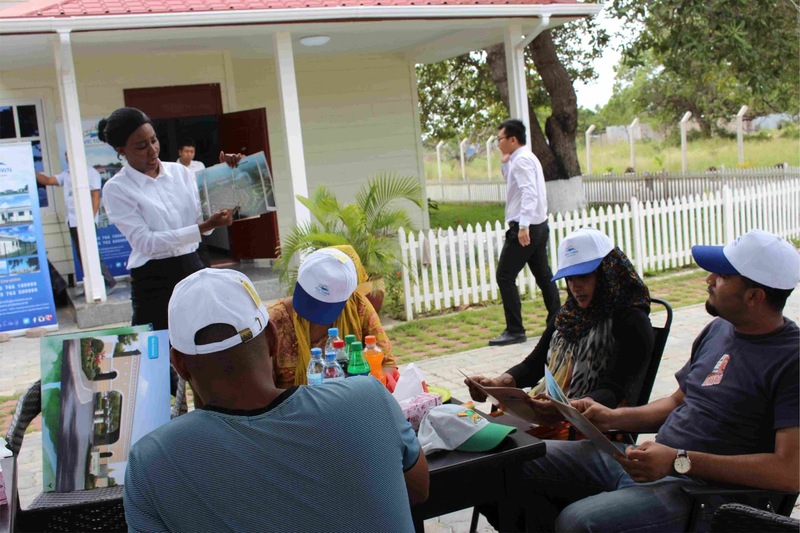 It will be the unique sample houses for high-end villas of Dar are now officially open to the whole city. Welcome to visit and we will make specific arrangements for you! There are eight reasons for you to live in the AVIC TOWN: (1)The largest community,( 2) The most beautiful environment,(3)The most suitable living conditions, (4)The most fashionable design,(5)The most perfect supporting facilities, ( 6)The top circle of social communication, (7)The most superior property services, (8)The best way of investment. As we know, AVIC TOWN is a comprehensive modern community (including high- end villa products, business centre, high quality management, perfect entertainment facilities) built at the project of Kigamboni as new second city to Dar es Salaam, It’s core strengths is a low-density villa community which can avoid problems such as traffic congestion, tight parking areas, limited facilities, inadequate house ventilation and lighting and so on as apartment buildings. Expect the most comfortable life while you’ll live here. Choosing to live in AVIC TOWN is to choose a modern living environment. The time of the pre-project positioning, AVIC International hired a world-class institute to make the overall planning. With extra help from Africa's most influential local design team, we held seminar and made decision on design for supporting infrastructures, landscape avenues and houses. 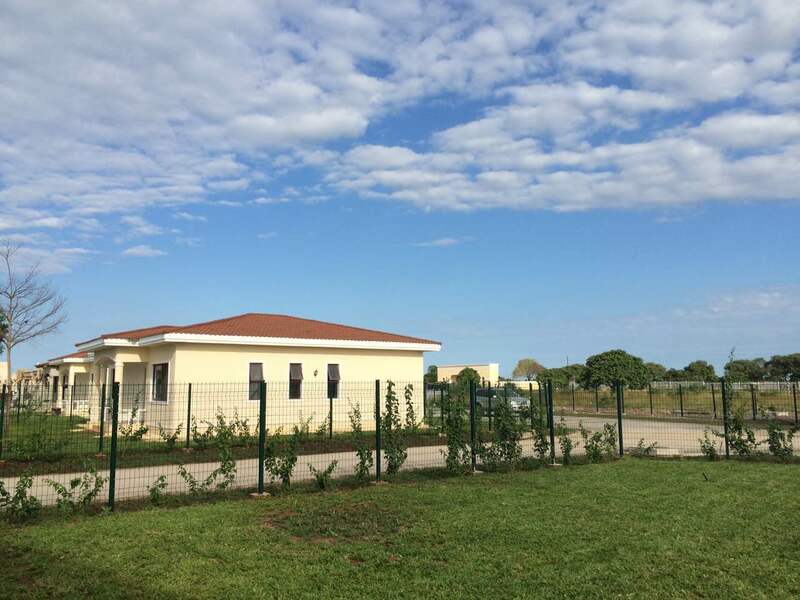 The first phase, we have a total of seven units, covering 96㎡ of two rooms and 364㎡ to five rooms. The houses are the detached designed homes and yards, with large balcony, vestibule and backyards. AVIC TOWN’s houses achieved international standards not only in main structure and internal functions but also in interior design. It’s now the most representative of the high-end native African communities and the residence that carries the most characteristics of the era. Choosing to live here is to choose a fashionable lifestyle. AVIC TOWN, as said before, is a comprehensive modern community with a set of high-end villa, business center, property services, recreational facilities, kindergartens, etc..It has 8-meter-wide landscape Avenue,38-meter-high landmark water tower, standard swimming pool, gym, wellness center, outdoor basketball court, real grass soccer field, community kindergarten, community clinic and business center (with supermarket, cinema, restaurants, banking services, etc.). This community is having the best facilities in Tanzania in which will enable you to enjoy the most fashionable modern life without extra home choice. Choosing to live here is to choose the new lifestyle. AVIC TOWN is a cluster of highest-end villa community. So, neighbors expected to live here should be well-educated and must be social elite with a certain social status or top-class governmental officials. It’s so, for them to get together and discuss life, search the most forefront investment projects and create ideas for city construction. Therefore, AVIC TOWN will form the top social circles. To live here is to choose a top social circle. AVIC TOWN, it’s well-known for its property services philosophy: " providing first-class services with honesty and excellence ", “strives to build up professional and modern property service team in Dar,” to provide a one-stop property service system of 24 hours of community monitoring, security (including smart card system) , water and power supply, sanitation and hygiene in public areas and housekeeping services. People expected to live here, will enjoy a unique top-level experience. Choosing to live here is a choice of high-quality property experience. AVIC TOWN is developed by the world top 500 company -AVIC International. Powerful business background in development ensures the quality constructions, which to some extent determine the investment value of the project. The Tanzanian government is trying to develop Kigamboni District. As the second center of urban development, Kigamboni will become a new urban area with a set of high-end residential communities, commercial office facilities, tourism and entertainment. Near the future, house prices are expected to go up with the rapid development of Kigamboni city. So, your first choice to investment in AVIC TOWN is the wise decision. 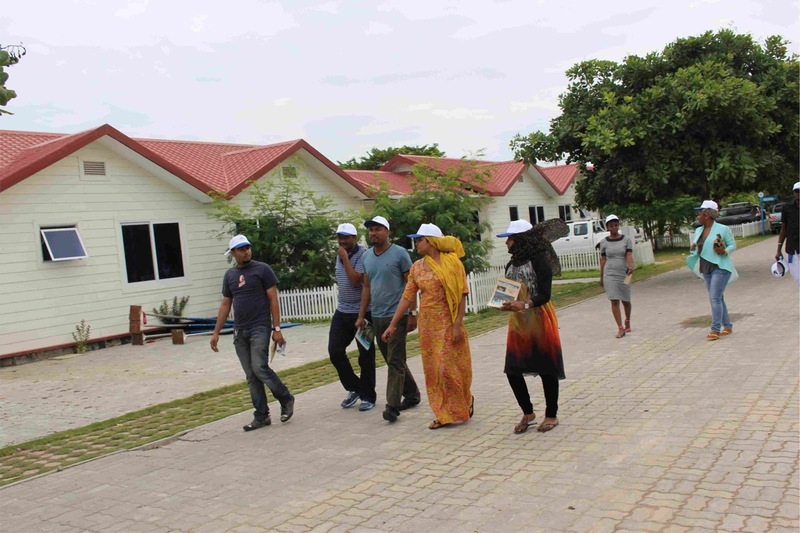 Exclusive tourist attractions of AMANI BEACH, the police station has been built specifically for managing the unique community living at AVIC TOWN. It is the only community in Dare es Salaam having the real grass soccer field, golf course, the largest gatehouse in Tanzania. However, it’s also the only community with the highest water tower (bell tower) in Tanzania. Our project will be officially opened in the second week of June, which means our houses could be sold at open market. Currently, we accept advance booking. The earlier ones to book will enjoy a discount of 1% on the opening day. This discount will be taken back at the end of the opening day. You will not enjoy any discount if you do not book it now. As time is pressing, pick up the phone to book now if you want to buy your favorite house to enjoy the benefits. We will make a warm reception for you!